By Jason Davis – WASHINGTON DC (Sep 14, 2018) US Soccer Players - Orlando City head coach James O’Connor paid his dues to earn his shot at the highest level of soccer in the United States. After ending his playing career with the USL version of Orlando City where he also served as an assistant, he moved to USL expansion team Louisville City as the top man. In three-plus seasons in Kentucky, O’Connor led Louisville to a pair of 2nd-place finishes in 2015 and 2016 and a 1st-place finish with a league championship in 2017. He’s just 39 and has never coached in the first division, but it’s difficult to argue he doesn’t deserve an opportunity in Major League Soccer. In 2019, barring a surprise, O’Connor will be on the sideline coaching the MLS All-Star team when the league’s annual showcase event happens at Orlando City Stadium next summer. MLS announced Orlando as the site of the 2019 All-Star Game at an event on Thursday morning. O'Connor was on hand. 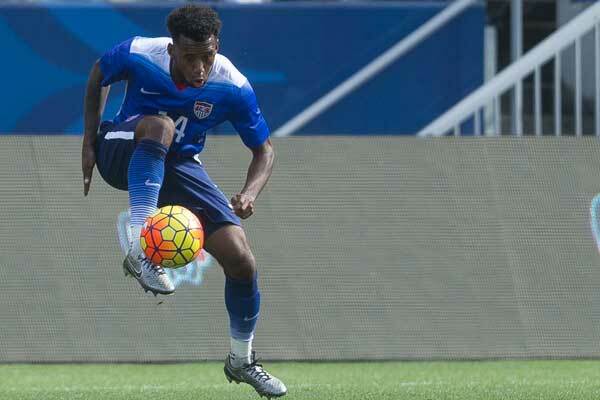 From coaching USL to picking a lineup from the best MLS has to offer is quite a transition. Of course, O’Connor's primary focus is to turn Orlando City into a winner. If the club wants to have a few of its own in the lineup for the All-Star Game like Atlanta did back in early August, O’Connor will need to learn quickly how to coach at the MLS level. The problem for O’Connor is that the timing of his chance in MLS isn’t very good. Rather than arrive during the offseason, when he’d have time to help form a roster that fits his playing style and attitude, O’Connor got the call to take over in Florida with the Lions mired in one for the worst losing streaks the league has ever seen. It’s true that O’Connor’s position as head coach in Orlando was dependent on the club floundering under previous head coach Jason Kreis. Kreis’s failure and the club’s loss of faith in Kreis opened the door for O’Connor midway through the 2018 campaign. O’Connor grabbed the reins of a team with obvious problems. The unique circumstances of the organization’s familiarity with O’Connor and the limited options available pushed a young coach to the front of the line. Considering how it all happened, O’Connor will likely get a pass on the continuing struggles of the team since his arrival. Orlando’s owners might have hoped for a turnaround and the playoff berth they so desperately pushed for with a big spending, turnover-filled offseason. Instead, 2018 turned into a salvage operation. That means Orlando City needs to show patience with their coach. MLS commissioner Don Garber called Orlando a “passionate soccer market” in his comments during Thursday’s announcement. He said the city played a significant role in the “rise and advancement of Major League soccer over the last few years," While not explicitly stated, awarding Orlando the All-Star Game represents recognition of the city’s support of the sport. That was a massive surprise when the club arrived in the USL back in 2011 and a boon to a league looking to expand into the Southeast. Without Orlando, there might not be an Atlanta. Unfortunately for Orlando, their newer rivals to the north have already lapped them in almost every measurable way, both on and off the field. 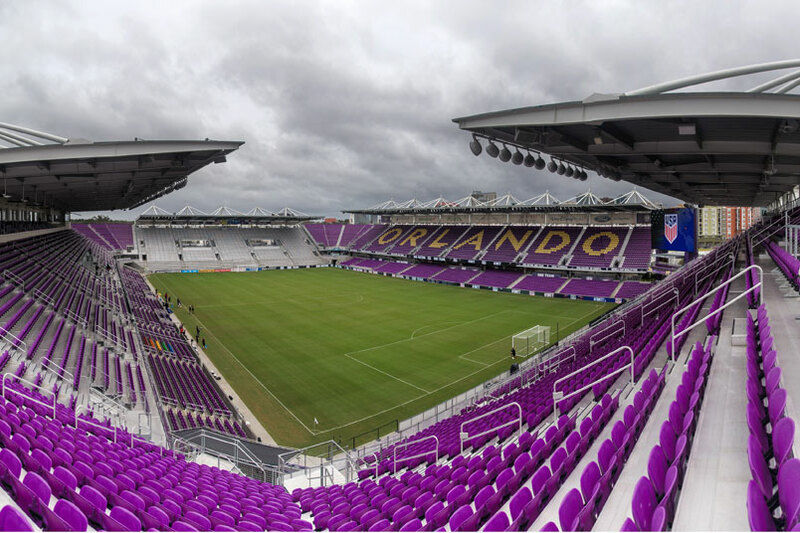 Since opening Orlando City Stadium, reported attendance has been at or near capacity for the building. There’s still enthusiasm for the team and no real reason to think a steep decline is on the horizon. Even teams with new stadiums and a history of excellent attendance need to start winning at some point to keep fans coming back. Since entering MLS, Orlando City has never finished higher than 14th overall and has never qualified for the playoffs. The attempted reclamation project for 2018 never got off the ground. O’Connor's Lions beat Toronto in his second game in charge. Orlando avoided tying the league’s post-shootout era record for consecutive defeats, but the 2-1 win remains his only one with the club. Orlando is 0-6-2 since beating the Reds and is 12 points out of a playoff spot with seven games remaining. Preparation for 2019 is already beginning, and it's already focused on Orlando not disappointing again. That means finally making the playoffs. Orlando general manager Niki Budalic, in conjunction with Kreis, overhauled the roster in the quest for the playoffs this season. The club ramped up the pressure on itself to achieve what expansion mates NYCFC did its first year, what Atlanta United did in its first year, and what LAFC seems destined to do in its debut season. James O’Connor, like the club he now leads, doesn’t have any MLS playoff berths on his resume. If Orlando is to figure out the right recipe for making the postseason, but the club and the coach will have to figure out what it takes. For O’Connor, the lure of an MLS job at 39, no matter the record of mediocrity and clear institutional issues in play, was too strong to pass up. The danger for the young coach is in attaching himself to an organization that can’t seem to get out of its way. Then again, if O’Connor does take the Lions to the playoffs in 2019, he’ll be the first to do it and will burnish his resume accordingly. It's a shared risk since the club is taking a chance on a young coach—something they might see as a positive because of his connections to the club (and the fans) and the pliable nature of his philosophies. Orlando City and its fans already have one thing to look forward to next season. The All-Star Game is coming to town. The league will put on a celebration of Orlando’s soccer passion during the week, shining a deserved spotlight on the fans that turned Orlando City into a phenomenon. What needs to come with it is a team in contention.